We do not store any copyright protected content in our web sites/servers. All the posts are made only for education purposes and any linked content is stored only in third-party web site. Please ensure you read and understand this policy before filing a copyright infringement notice. 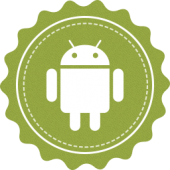 Android Zone accepts DMCA infringement notices for copyrighted material. To file an infringement notice for a file that is not hosted on Android Zone servers (subdomains ending in .android-zone.pw), please follow the copyright infringement process of the site the file is hosted on. Android Zone does not have access to remove files on external services and therefore may not respond to copyright infringement notices relating to files on external services. Android Zone may remove pages that link to copyrighted material. To file a copyright infringement notice with Android Zone, you must provide written communication using method set forth below. - Details of the copyrighted work that you believe is infringed upon including its location under the android-zone.pw domain. - An email address where Android Zone can contact you. - Information and/or proof that you are the copyright holder or authorized to act on behalf of the copyright owner. Android Zone will generally handle complaints within 48 hours of the complaint being received. The contact details for filing a copyright infringement notice can be found on our contact page . We will reply to and clear EVERY request. We will not reply to automatized bot messages though, or messages missing any information listed above. Please notice it may take up to 48 hours to process your request. Don't bother sending your request to our ISP, hosting company or anyone else - it will only take MORE time to process your request, as all messages are forwarded to the email address above.